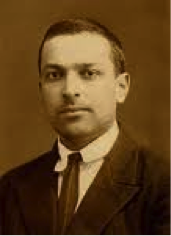 Lev Vygotsky discusses the symbiotic nature of thought and word and the relationship between child development and appropriate methods of instruction. The relation of thought to word is not a thing but a process, a continual movement back and forth from thought to word and from word to thought. In that process the relation of thought to word undergoes changes that themselves may be regarded as development in the functional sense. Thought is not merely expressed in words; it comes into existence through them. Every thought tends to connect something with something else, to establish a relation between things. Every thought moves, grows and develops, fulfills a function, solves a problem. This flow of thought occurs as inner movement through a series of planes. An analysis of the interaction of thought and world must begin with an investigation of the different phases and planes a thought traverses before it is embodied in words.